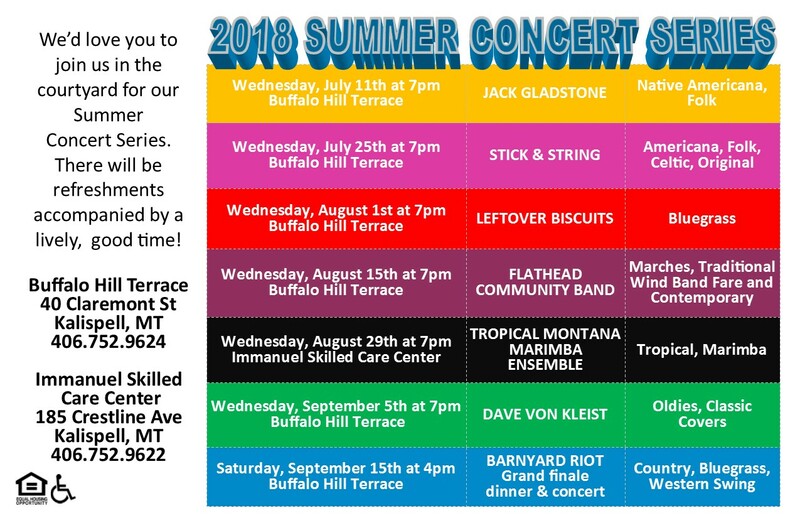 Join us for our Summer Concert Series! This concert features the Tropical Montana Marimba Ensemble. A group of friends and families living in the Flathead Valley of northwest Montana, who gather to play music on African style marimbas with roots in the polyrythmic mbira traditions of the Shona Tribe of Zimbabwe. Many of the tunes we play were brought to this country by Dumi Maraire who taught in the northwest of Washington. The rest are originals written by various band members or the group as a whole. There will be refreshments accompanied by a lively, good time!